In the previous guide, we’ve learned about VPS hosting, several functions of a server, and 6 important factors that make a reliable host/server. Next, we will be looking to understand your (individual) needs and how a server is going to cater to them, as well as the 3 types of server hosting available in the market. What Can A Server Do? A server or a virtual machine is pretty much like any desktop computers/laptops out there, except it is more powerful (performance-wise) and grants a superuser level access to the user. The ability and capacity of a server is wide, as it caters to needs ranging from individual gamers and Forex traders, a team/organization of business professionals, to family safety and home entertainment. There’s no worry over how limited a server can be- basically what you can think of doing in your personal computers can be done using a server without interruptions/interference. The utmost importance lies within asking the right questions, that can help you better grasp your idea of a most suitable server. Identify your intended purpose for requiring a server. Identify the server specifications and configurations requirement based on your intended purpose. E.g. Do you require any powerful software to run? Filter and pick the types of server hosting that cater most to your requirements. The potential of a server to up and coming SMEs and startups is infinity; from creating independent company emails, managing company website to monitoring employee activities and team performance, just using a single server. Online gamers often keep their eyes on low latency for a smoother/better gaming experience in overall. Game servers deploy several different data transmission method across players, one of which implements a server. The biggest advantage when hosting games on a dedicated server/VPS is having a team of professionals as backups- ready to be deployed 24/7. Some game servers are hosted on listen servers, which depended greatly on the host activity. If the host experiences a downtime/ unstable network connection, the rest of the players suffer the same. Unlike listen servers, dedicated server/VPS functions independently off game hosts and players. In a game of currency trading, time is liquid and volatile. To run MetaTrader instances and electronic robots while maintaining a low latency and high performance stability is ideal for online traders. Crashes and inconsistent network uptime are a few causes that lead to losing profits, hence best avoided. A home can be safer and smarter. With a server, you can install and run surveillance cameras to overlook and protect your loved ones within your home vicinity. Cameras aside, installed smart sensors in your home compound are able to learn your preferrences (such as temperature, humidity) and adjust accordingly for better and convenient comfort. With Netflix on its run, users are expected to turn into servers to maximize the storage capacity of a computer/laptop. Servers can be deployed like hard disks, or even better a secondary computer with upgradable disk space at instant. Imagine living in a bungalow, or a mansion if you please. You alone are entitled to the possession of all facility in the area compound. Be it an indoor swimming pool, an underground garage, a lounge bar, a sauna, jacuzzi tub and whatever that you may envision. Dedicated hosting is likened to living in such luxuries. But every coins has two sides. Prior to ownership of these, you must bear the responsibilities. Being the sole admin to the a dedicated server, you possess the power to tweak any changes you would like to see. With such power to control, one is required to possess the knowledge to maintain its best performance, such as keeping all software up to date and debugging weird issues that you may have accidentally created. Speed and flexibility are two of the biggest advantage to dedicated hosting. The only downside would be its price and your knowledge availability. Similar to living in an apartment this time, shared hosting provides a great entry point for early users. There is a landlord (the host) and everyone in the same building (server) pays a monthly rent, some of which funnels into maintaining shared resources, like water and electricity (server resources). All shared hosting plans are managed. However unlike living in a privately owned space, users have little-or-no say in alterations/moderation, in any case of dissatisfaction. Because everyone living in the same building are depended on the same facility and resources, users are interdependent on each other to obtain a fairly distributed resources to account for the amount paid for. But not all neighbors are nice people. Difficult issues such as inconsistent uptime, sudden download/upload speed reduction and inability to load webpages may persist. When cases of sorts happen, quickly refer to customer support for technical assistance. Ask for advice and how the hosting company can help to solve your problems. Shared hosting is a good option to start with a tighter budget. The trade-offs however are inclined towards its lower performance stats. Another choice up for thought is to transition/upgrade from shared hosting to VPS. VPS is a hybrid between shared and dedicate hosting, which churns up pretty well for tech-savvy starters. Much like living in a condominium, renters are required to pay monthly to maintain individually allocated resources. While server maintenance has been delegated to the host, VPS users are free to experiment with superuser level access to its root system. In another words, you are entitled to freely redecorate, redesign and renovate your allocated space at any time, without requiring the fully advanced technical knowledge to manage a server. That’s killing two birds with one stone for you. Be prepared to patch up your budget when transitioning from shared hosting to VPS. To determine the worth of your investment, it is up to your choice, purpose and experience with the device that count. Even though a little pricier (but never as steep as dedicated hosting), considering the potential of free-customization and fair usage policy (since everyone literally gets what they pay for), VPS hosting is definitely worth a try. 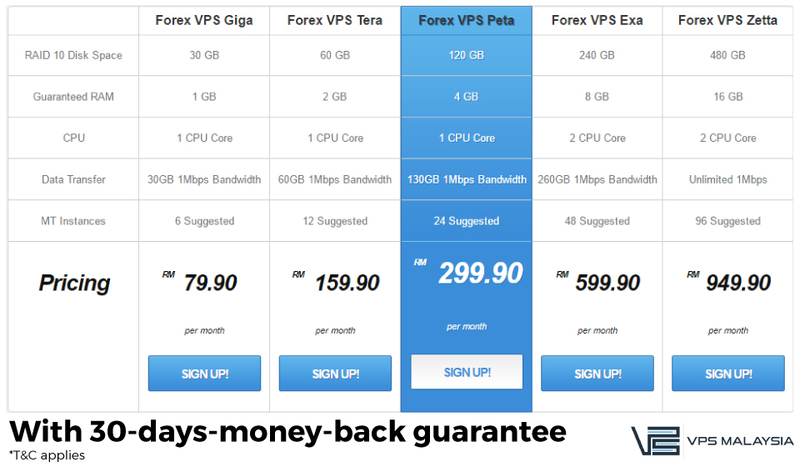 VPS Malaysia guarantees a high speed, reliable and consistent performance at the most competitive priced package starting from only RM79.90 monthly. Sign up today to enjoy a 30-days-money-back guarantee with terms and conditions applied.